Sifu Rafael Rodriguez is a martial arts master and lifetime resident of East Harlem. He has been offering and teaching, non-drug based therapies for opioid addiction and other ailments since before he himself came back from Vietnam. Here he is leading a weekly workshop at NYHRE for clients and staff alike. Harlem, NYC 2016. Richard Lewis is a director of programs at NYHRE photographed in Tompkins Square Park, where he was first exposed to harm reduction as a teenager. NYC. 2017. Lily and Cheryl. Portrait was taken after a weekly session of boxing for self-defence at NYHRE. East Harlem, NYC. 2017. Walter Bosque practices tai-chi under the Bruckner Expressway where his childhood home once stood before it was tore down to make room for the highway. He has been a staunch leader and educator in the campaign to offer more holistic approach to opioid addiction since his days as a member of the Young Lords in the 1960’s. South Bronx, NYC. 2016. Heroin overdoses are largely due to the lethal combination of both Heroin and Fentanyl, a highly potent synthetic opioid. Harlem, NYC. 2016. Eddie is a regular client of NYHRE, where he takes part in leading community building programming throughout the week. East Harlem, NYC. 2016. Acxel Barbosa is one of the outreach workers that works at NYHRE. He has been an outreach worker for over 10 years and is a former NYHRE participant. Harlem, NYC 2016. Dorothy works at the New York Harm Reduction Educators offices in Harlem. Her role is to support clients by helping them navigate services and resources. Harlem, NYC. 2016. 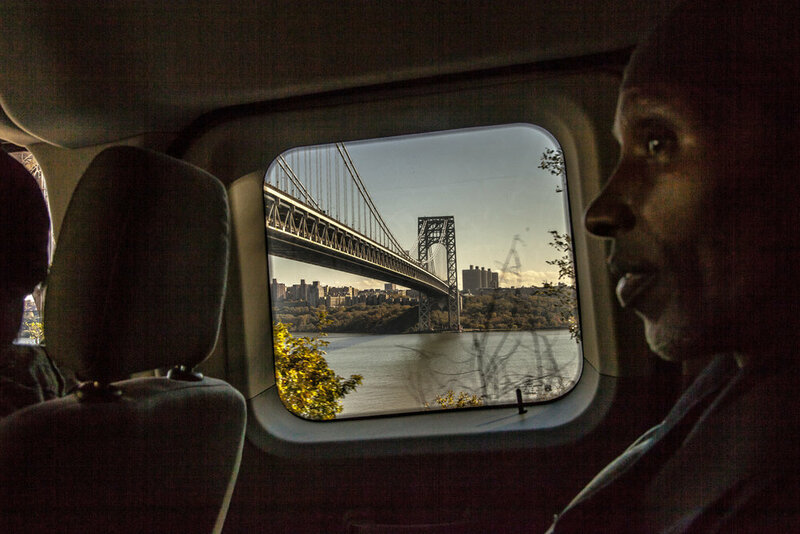 Norman Polite was a regular at NYHRE’s office in East Harlem where he attended in rides to the Palisades Park, NJ to spend time in nature praying, meditating and engaging in an overall therapeutic experience. He recently succumbed to a life-ending disease and lies on in great regard by the NYHRE community. New Jersey. 2016.